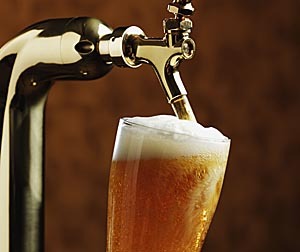 Crack open your favorite brew, stop by the GS Chats and connect with fellow members for some drunken gaming fun. Going strong since 2008, Frosty Pints is a particularly great time for new members to meet other Gunslingers and to swap PSNs or gamertags. If such a well attended and long time tradition sounds like your kind of scene, we sincerely invite you to come join the Gunslingers! The Red Dead Redemption Posse for Adults. The Gunslingers - Where it is still legal to get drunk and shoot people. Maybe because summer, despite all its best efforts of making it an insufferable experience via heat waves, is passing by all to quickly that it seems like Fall is right around the corner. Or, just maybe, it is because GS is excited for all the new games being released. Either the case, the Gunslingers clan is looking for all those fellow parent and hard working adult gamers out there pining for a place that treats gaming as an experience to enjoy during "down times" and among casual, mature friends. Here are some fantastic developments happening at the Gunslingers that I hope demonstrates our mutual gaming wishes! Real Life Gunslinger Meet-Ups: In just the last few weeks, there has been three get-togethers by Gunslinger members! One took place in the shape of a hiking trip in the beautiful forests of Idaho, United States. The other was an amusement park trip (they all have rugrats to keep busy, after all) in England. Yet another was a trip by a Danish member to North Carolina, United States to be shown around the Appalachian Mountain trails by a home-grown Gunslinger. Personally, it is exhilarating to see such true friendships being made by people who had never crossed paths before outside of the Gunslingers. It shows that if a group focuses on the sociability of gaming rather than the kill/death ratios something worthwhile is in store. New Games Showcased: It may not be September, but the Call of Duty: Modern Warfare 3, Gears of War 3, and Battlefield 3 bug has already caught hold of the Gunslingers! In fact, we started off August on the right foot by setting up our GS Forum board exclusively for those games! There, you will find pre-release discussions and other game information. Take part and shape our MW3, BF3, and Gears of War 3 front! Thank you for taking the time to read this week's Gunslinger Newsletter. If you aren't a GSer yet, come check us out at http://www.gunslingergaming.com . If you like what you see, sign up in our forums to become a member. It is all about having a good time and playing games at your convenience at the Gunslingers. A group full of adults could have it no other way! The Red Dead Redemption Clan for Adults. The Gunslingers - Blazing Trails for Parent and Hard Working Adult Gamers Since 2007. Here is what's happening within the Gunslingers this week! Welcome to the Gunslingers and thank you all for joining! NEW GS MADE MUSIC - Creativity is a big part of the Gunslingers. Not only do we put a lot of work into the group to keep the experience like no other clan out there, but we showcase--heck, promote--the creative efforts of our members as well. Case in point, GS*Cope. He has two new songs he wrote and composed entitled "Enemies" and "Rain In You," and he has been kind enough to share it with the rest of us by adding it to the GS Jukebox! The Jukebox is the dynamic playlist featured in the forum and on every chat page at GunslingerGaming.com that is comprised entirely of music performed by Gunslinger members. Gamers can rock n' roll, too! Come check out Cope's and other GSer music! GS CREATIVE WRITING - As I stated above, we love to showcase the creativity of Gunslinger members. Another way we do that is by providing a GS Forum section specifically for any literature authored by members. For example, check out Slammer's and Geo's writing that has been recently posted! GS 4 LIFE! - A great tattoo, right? Seriously though, we often speak of how the Gunslingers clan is the ideal place for all you parent and hard working adult gamers out there who seek a casual, mature gaming experience because, well, life can be demanding, right?! You tire of seeing so many groups out there that want to demand that you meet for "x" number of practices or appear online "x" number of times a month to keep your membership. That doesn't sound fun. That sounds like yet another obligation. We completely understand that feeling. That is why, at the Gunslingers, you retain your full fledged membership regards of the amount of time you can dedicate to gaming. We are happy to game with you when you can, and we look forward to times life permits down the road, as well! Can anything be more fair? Thank you for taking the time to read this week's (so far) updates of the Gunslingers. If any of the above information or sentiments appeal to you, we humbly invite you to come check us out. If you like what you see, sign up in the GS Forums to join in on the fun. AmazingPerkans Shares His Music! - AmazingPerkan and his band, Republic Simone, have been kind enough to share their music with the rest of us by adding "King of Kings" and "Republic of Pete" to the GS*Jukebox! Visit any of the GS Chat pages to view the playlist and take a listen! n case the GS*Jukebox is new to you, it is the dynamic playlist comprised entirely of music created and composed by your fellow Gunslinger members. You will find it in the Music section of the forums and on every Chat page. We thank all of them for sharing their music with the rest of us! New Game Added to Arcade! - We all know the classic Pac-Man. Heck, we even have a version of it in the GunslingerGaming.com Arcade already. It is time to see the game from the viewpoint of the ghosts in the newest addition to the GS*Arcade: Anti Pacman! You will have to be tricky to get that ever allusive icon of the '80s! The Gunslingers is the ideal home for all of you mature, casual gamers looking for fellow adults who game on their spare time, hassle free. Take a moment to check out our clan's homepage, www.gunslingergaming.com . If you like what you see, join in on the fun by registering your membership in our custom forums. Don't you think making a clan for people exclusively over the age of 18 is a bit close minded? If you really are looking for mature people than surely a more developed recruitment process makes sense? Or in your eyes is everyone over the age of 18 automatically a shining beacon of maturity? It'd be like me making a clan exclusively for black people. Actually it has worked for them for 4+ years. They made this posse because of all the children that were in a specific game. They wanted to play with other adults. That's the thing about us adults... We prefer other adults to play with than the same type of children every time. I don't think McMurphy expected the clan to become so successful over the years. A clan with an age requirement isn't a new thing. There are some posse's that require no more than 16 years old. There are some that require no less than 16. With age comes different types of events they can do as well. Like massive drinking tournaments? Can't have kids partaking in that. Not that we need another reason to give toast to the end of another work week with the ever popular weekend tradition of Frosty Pints, but we have another reason for celebration. This week, the Gunslingers officially became 2,500 members strong! Let the good cheer rage on! Crack open your favorite brew, become a member by registering in the GS Forums, stop by the GS Chats and connect with fellow members for some drunken gaming fun! Going strong since 2008, Frosty Pints is a particularly great time for new members to meet other Gunslingers and to swap Red Dead Redemption game contacts. Gunslinger Frosty Pints - Where it is still legal to get drunk and shoot someone. There is always something going on in the Gunslingers Clan, so we like to whip up a brief newsletter of noteworthy updates or interesting tidbits for each week to start off Monday on the right foot. As you wrap up the first day back to work, take a look at what has been going on in the ever active clan exclusively for mature, casual gamers! Membership Milestone - As I have stated in prior posts, the Gunslingers got to celebrate the occasion of becoming over 2,500 members strong this Frosty Pints weekend. I will be the first to admit that I had never intended or would have predicted the GS success. What surprises new members the most is just how tight knit our clan is while also enjoying the immense level of options he/she has when building a friend roster exclusively comprised of fellow adult gamers. It is a powerful statement about positivity. True, online negativity and cynicism turn heads and get people refreshing the page for the latest development of gossip, but, ultimately, the average person---the silent majority--just wants to have a good time and be treated with respect. That is the Gunslingers. And I thank every single one of our members for doing their part in creating a community that defies the all-too-common clan experience. GS Facebook - The Gunslingers added a facebook group for our members out of a late night whim. Now, over 200 of our members use it on a regular basis! If you want to take part in the freight train-like speed of real-time discussions and notices that members are getting online to play some games, add yourself to our Facebook group after registering your Gunslinger membership in the GS Forums! It is by no means required to be a member, but it is there if you are interested! RebelBred's Tattoo - Some of our members personify the Gunslinger spirit in their real life. RebelBred is a fine example. He has recently gotten a killer tattoo of a cowboy out of his long time interest in the Old West. It is well done, and swing on by GS to check out pics of it sometime! GS Arcade - We install a new game in our custom GunslingerGaming.com Arcade every week! This week, we are really showing our age by adding Yahtzee! We aren't nicknamed the "Geezer Squad" for nothing! Roll those virtual dice for the highest score today! Yelling "Yahtzee" while firing warning shots at kids who dare cut across your lawn is optional and will not be reflected in the highscore list. 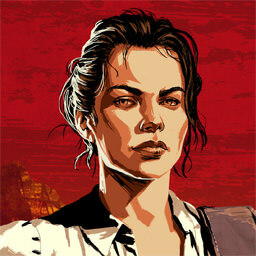 Thank you all for joining, and welcome to the Gunslingers! Gunslingers, if you haven't done so already, check out these new members' introductions in the Introductions section and their game contacts in your favorite Master Lists of the GS Forums. If you a mature, casual gamer reading this message and you have been looking for a group of fellow parents and hard working adults who treat gaming as a way to unwind after work or between family obligations, we humbly invite you to join in our fun! We are recruiting new members, and, as we are fond of saying, "more, the merrier!" Some of us are getting our kids off to their first days of school. Some of us are taking night classes with not-so-secret dreams of landing a better job and giving the finger to our bosses. Some of us are gaming after work and on our days off as usual. Whatever best describes you, here are some updates happening in the Gunslingers community that you may find interesting! Atari Trivia - What happens when you create a clan of over 2,500 adult gamers? You get a lot of retro gaming reminiscing between matches! To augment that urge, we have installed the Atari Quiz Challenge in our ever growing custom GS Arcade! How much do you remember from the Atari glory days? Swing on by GS and find out! Gunslinger Banner Making - For a few years now, the Gunslinger members with an eye for banner making have been making some top-notch personal banners for their fellow members. That creative pool has exploded lately! Check out the "GS Banner Exchange" thread within the General Gaming Discussions section of the GunslingerGaming.com Forums to see for yourself! The Sports Fans Amongst GS - You may know the Gunslingers for this franchise, but, being a collection of well balanced adults, some GSers are also sports fans. That is why we have added a Master List for Madden 2012 for swapping game contacts! Whether you are slinging the guns or the pig skin, let's have some fun! The Gunslingers are recruiting all fellow casual, mature adults. If the above information has caught your interest, please stop by www.gunslingergaming.com to learn more about our group. Nearly all of our content is public (we are a clan with nothing to hide), we invite you to take a look around. If you like what you see, register in our GS Forums to start your membership. It is that simple! The Gunslingers posse is an oasis for parent and hard working adult gamers from around the world that was formed back in June, 2007. The underlining goal of our group is to create a gaming environment that is fun yet civil and friendly for mature, casual gamers. It is a goal far too uncommon in the gaming community, and is not often honestly sought. For anyone wishing to escape the lulls of silly clan probation periods, distinct divides in community ranks, unrealistic demands of attendance, and continual ugliness of clan wars, the Gunslingers is your haven. We have been active for over a decade, so you are not alone in your wants. Joining our posse is simply: Be at least 18 years of age (our average age of members hangs around the mid 30s) & register your membership with the group. Yep. That's it! You will receive a welcome private message afterwards that will help you get in-game with the rest of us. During our decade+ travels, we have hosted podcasts, live streams, raffles for free games, fun events (ie: Frosty Pints is our term for weekend meet-ups), and a continuous effort to get everyone a chance to get to game with each other. In fact, we JUST launched a brand new site for our group as a massive reboot of the GS community. Thank you for taking the time to read about the Gunslingers posse. Recruitment is now open, & you are invited to join. The Red Dead Redemption 2 Clan for Adults. The Red Dead Redemption 2 Clan for Parents. 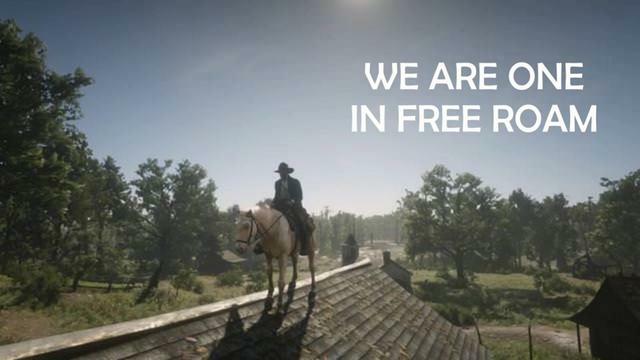 The Red Dead Redemption 2 Clan for Older Gamers. The Red Dead Redemption 2 Clan for Mature, Casual Gamers. 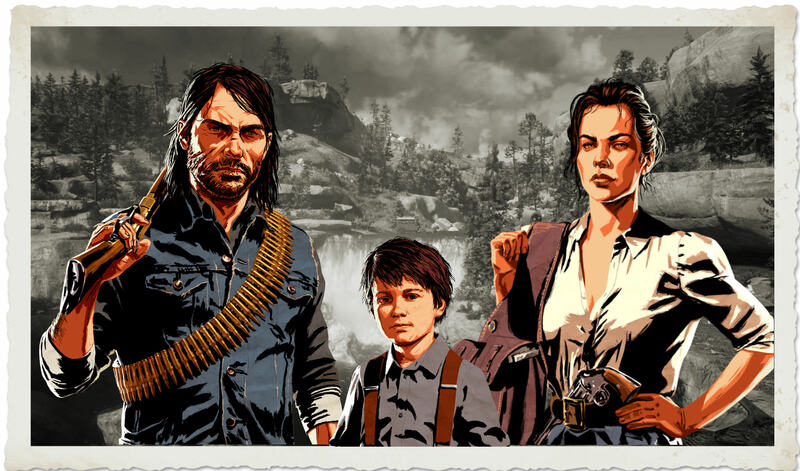 RDR2 Gunslingers - Blazing Trails for Gaming Parents & Older Gamers Since 2007. New to the forum but a member of Gunslinger Gaming for almost 6 years I think, If you are looking for adults to play with and have a odd game schedule, we always have members on throughout the day you can find to run with on any platform. Hmm, sounds nice. 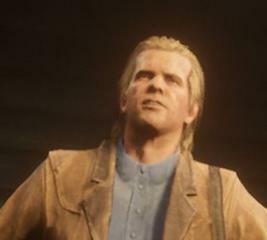 I am an older gamer on Xbox and I would love to have more older gamers like me to hang with on RDR2. Not really into competitive gaming...just want to have fun with people who like to help each other out leveling up and such. I don't have any set gaming schedules either but would be up for playing with people who like to play regularly. Nextgen gaming kids ain't got a clue what Multiplayer gaming in. we have a good amount of XB players as well who do the same as us PSN guys and gals. The group I am running with mostly just have fun and joke the whole time were on (Very little gets done lol) but we farm and help each other. one member was under 100 cash and we all hunted to help them get at least an extra 300, but thats the way the group im running with at the moment works.